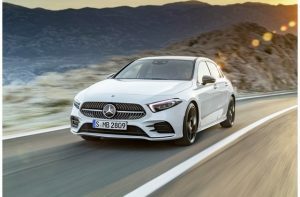 With the new A-Class arriving for showcasing in the US this year, the luxury auto brand is taking a new approach to sales and it completely contrasts a typical dealership experience. Mercedes-Benz has been experimenting with alternative environments for showcasing, educating and connecting with consumers. Mercedes-Benz plans to open their third pop up this year on Chicago’s Michigan Avenue after success with those prior. The venture in experimental retail began last year with one pop up store in Atlanta, and a second in Miami at Aventura Mall. In addition to their plans to open one more pop up this year, Mercedes-Benz USA CEO Dietmar Exler adds they plan on “doing way more of them, probably focused on new product launches”. The laid back, no pressure pop ups intend to make the Mercedes brand more approachable, especially to those who did not see the brand as an option in the past. To maintain the no pressure atmosphere, the pop ups don’t sell vehicles. Instead, employees will forward prospective customer’s email addresses to the dealerships. The approach is working; according to a company spokeswoman they “are seeing an appreciable number of people who had not previously considered the brand, but who bought a Mercedes following a visit to the brand stores”. The modern spin on showcasing offers consumers a chance to experience the new technology Mercedes has to offer without making a purchase. In hopes to reach the millennial generation with the launch of the A class sedan; consumers will be able to test out MBUX , the new multimedia system which features predictive learning abilities, improved displays, and artificial intelligence. The pop up stores are open for about two months and the brand is careful in selecting locations, sticking mostly to upscale areas. Unlike Porsche, Exler is not considering opening permanent accessory stores for the time being and is keeping that reserved for the dealerships.